Note that Livefyre was removed three months later. More here. You don’t want to be required to sign up for a user profile to write a comment. You want the ability to read an article and be allowed to share your thoughts quickly and easily. You want stress-free commenting. You want to avoid filling out form fields, checking boxes, and clicking verification links as prerequisites to sharing your views. You are opposed to comment registration and you support creating conversations. You also want to be loved. You want people to know you exist, to reply to you and to single you out as an expert in this or an influencer of that. You use social media websites to connect to people and build networks. 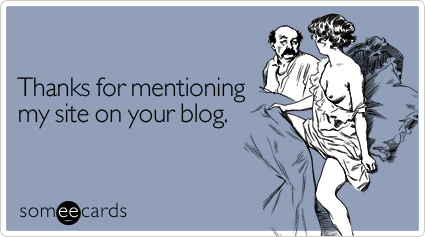 You comment on blogs with the hope that people reading your comments will visit your site. True or false? What if you could comment on a blog article and integrate your feedback and insights with the people in your networks? What if you could tag your friends within your comment, and what if you could authorize automatic notifications be sent to anyone who you mention in the comment? You were prevented from this sort of social conversational integration with the built-in WordPress commenting system that this blog employed since 2008. When you inputted your name, email address, and website along with your text comment, that’s all the reader saw. Many people availed themselves of the optional input of a Twitter name and many other people clicked your social links. It is natural that a blog focusing on the exploration of new and emerging media employ alternative commenting systems. Most of the people reading this sentence have an account (whether used actively or inactively) on Twitter, Facebook, Google, or another online media platform. Why not take advantage of that social connection and synchronize your comment with the platform you use and the friends and followers you have over there? Think about the tagging aspect. Wouldn’t it be something if you can tag your Facebook friends in a comment and enable those friends to receive notifications to come here and read and respond? With the installation of the Livefyre commenting system, the text box is still at the bottom of this article. But in exchange for filling out your name and other personal data, you now see a box with a bottom-right link to choose how you want to post your comment. When you click the “Post comment as” link for the first time, a window pops up prompting you to either authenticate your comment with your Facebook, Twitter, LinkedIn, Google, or OpenID accounts — or to choose none of the above and use your Livefyre account instead. Clicking the link to create a new account (which you may choose if you don’t have a social networking account), another window pops up and prompts you to fill out routine fields you’ve seen in other places for other website identification systems. Similar to Facebook and other platforms, you can reply back and forth to any comment (creating up to four levels of nests) and you can also like any comment. Every time you reply to someone, that person receives an email of your response with a link to reply back. Every time you reference one of your Twitter or Facebook friends with an @ sign, you are opted to inform that person about the comment. Livefyre promotes commenting through social media. If you didn’t use social media sites, Livefyre wouldn’t be here. But most of you do. You may or may not like this immediately but you will definitely see its benefits over time. When someone “likes” your comment, you will smile. When someone replies to you, you will come back and converse. When people click to your profile showing recent comments of yours around the web on other Livefyre-powered blogs, you will be admired. Months after Danny Brown trialed the system and touted why he loved Livefyre, everyone from Gini Dietrich to Patrick Phillips and Shonali Burke pointed out positive impacts on metrics, conversion, and usage. Try it out. Experiment below. P.S. The Livefyre customer service is awesome. Jordan Kretchmer was quick to respond with a bug solution and Jenna Langer is actively responding to inquiries whether in tweets or emails. Good job! This is what I was trying to tell you. You should tell about it before applying it. But thanks to accept my suggestion of telling readers about the benefits of what you have adopted and how it would be beneficial for visitors. I am in the favor of Livefyre as it is really easy and growing technology helps you commenting through your social media and by developing a profile in Livefyre too. Keeps a complete record of your comments and let you to reply any time. Funny to go and comment on this thread and see you are now using commentluv after bouncing from vanilla to livefyre back to vanilla etc. Goes to show there is much work to be done on comments/social integration. Thanks for the post. If livefyre is “powered by janrain” and does the same thing as janrain engage why not just use janrain engage? I don’t use it personally but i have seen people making the change to it though..
As you know, I’m a big fan of vanilla WordPress commenting, but Livefyre is definitely my favourite of the third-party options. I’ve just switched it back on over at my blog, after a bunch of new features were implemented. Looking forward to seeing how it works out for you. And I agree – the support from folks like @jennalanger and others is second-to-none. Thanks for the inclusion, Ari. Quite a few people have recently asked me why I stick with Livefyre over Disqus (that’s the comment system I’ve heard Livefyre most frequently compared to), and customer service and personal attention are two of the top reasons. I’ll never forget being at BWENY earlier this year, walking to the food court, and I heard someone shout, “Is that Shonali Burke?” I turned around and there was this tall, somewhat gangly (in a very cute way) young man walking towards me. He must have been a good 10 feet away from me. It was jmatthicks who recognized me as I passed him, and I was absolutely thrilled to meet him, Jordan and Jenna for the first time. Every time I have an issue, they are so quick to help out – they’re practically my gold standard for customer service now. I know everyone has their favorite comment system, and I think Disqus has been doing a good job lately of integrating social networks similar to Livefyre. But I still think Livefyre has an edge; it’s sharper looking (in my opinion), works great and add the customer service to that… it would be very tough for me to switch to a new comment system now. I’d love to know what you think of it once you’ve used it for a while. @JMattHicks That’s not what I meant at ALL and you know it. 🙂 And what “international celebrity” are you talking about? I certainly don’t know about that! I think meeting you guys was one of the BWENY highlights for me. Can’t wait until the next time! @Shonali You know, I forget who it was that told me (actually, I do remember now, but I don’t want to be a snitch just in case ;), but I’m pretty sure you’re a bona fide star in India as well. Geography was my 1b. favorite subject in school behind my 1a. History, and I think a presence in the US AND India qualifies as international stardom! Hi, Ari…thanks for including me: I’m honored. The first few sentences of this post absolutely describe my feelings about my audience. I didn’t want anyone to have to jump through any extra hoops — particularly registration of any kind — to comment. In our already over-communicated world, asking almost anything extra is just going to be a no-go with most people. I have been truly astounded by the number of comments I’ve received since switching over. I can’t explain it, because it goes against the logic most of us thought we understood about interaction and the need to make it as easy and effortless as we can. But I’m definitely sold on Livefyre. I’m still all about the plain vanilla, base commenting systems over add-ons and plugins. One thing that gets me about this system is you are subscribe to all or nothing – I’d like to be able to subscribe to comments on one site or one post, but not another. I signed up with Livefyre some time ago. Farly painless process so it’s no big deal. Also, it’s a one off thing so it’s hardly jumping through hoops. Ok, I’m now commenting using this system. Ive got to be honest here, I really dont like sharing my facebook with anyone except close friends, I dont want to be seen all over the new. @danika I agree with you. I don’t universally share my Facebook, either. If Facebook had been the only login option, I’d have never adopted Livefyre. But the fact that you can use Twitter or create your own Livefyre account made it much more attractive. OK, for you, I’ll try it. Have been reading you on Google+, will be interested in that post, when you get to it. @UK Wholesale Thanks for prompting this post. What have I missed/done wrong? You used to have CommentLuv. Where is ‘My Latest Conversation’? Ah wait, it only works for Patrick and Shonali. Not even for Danny and Kirsti. @Diana of Elephant’s Eye Because I didn’t have in place when Danny commented. It wouldn’t show Kristi. It’s not CommentLuv; it’s a Livefyre-only quirk where it shows the last blog article of any blog with the comment system. @Diana of Elephant’s Eye Your conversation is not existent without your blog employing Livefyre. Maybe CommentLuv will come in the future but for now it’s out. @Diana of Elephant’s Eye @UK Wholesale It was coming regardless. I sometimes write about things before I employ them, and sometimes after. @jennalanger You are the definition of conversation, encouraged or otherwise. @ErikRudling Why did you jump ship, and where from? Comments are always extra. I’m happy enough people read what I write. @Kristi Hines Considering @jennalanger is watching these comments I’m sure she and her team have a proper response. @jennalanger Hi Jenna, when is this update taking place? For someone like @Kristi Hines to only be notified of people replying to her comment thread? I don’t like livefyre for one reason: you can’t be anonymous! That’s part of the reason I like disqus. You have to enter and email address and name at minimum (under the “guest option) but you can use a fake name. I understand that being anonymous doesn’t help for “business”, but there is many times I read a business blog that I want to comment on but don’t really want it to be connected to me….anyone else? My username is “patricksplace” rather than my real name, and I linked it through my Twitter account which could have had any name at all. Granted, in my case, my Twitter account is connected to my blog where my real name is, but that was fine with me. A few people comment on my blog with Livefyre using handles rather than their real name. @patricksplace @danika Completely agree Danika, that’s why we offer several choices. I go on Facebook to talk with my friends about my weekend plans, and I talk on blogs about the topics I really care about. Different networks that don’t need to be connected unless we want them to be. Wow, I love livefyre. I’ve never seen this before. But it’s great to be able to include your information, your link, and more. I don’t mind logging into something if it’s convenient. I like this because it already includes your keywords and your link. I think this is a great way to comment, without being spammy. @what is income at home.com about I’ll reply that you are being spammy. No first name? @KirstenWright Indeed, @patricksplace is correct. Scroll above to a later comment by @what is income at home.com about. Can’t get more anonymous, albeit spammy, than that. @Ari Herzog I’ve never used livefyre before . I thought I was entering my keyword as a lot of people do. I didn’t realize that it wouldn’t enter my name. BTW, it’s Jack. Even still – I personally don’t think no first name is spammy, as I was obviously not just posting only my link. I left a comment with thought that relates to the post and I did not put any links in my text. I think that’s pretty acceptable, no? @Ari Herzog @KirstenWright @patricksplace Seriously? I’ve already explained and besides – my first and last name are included in my profile. Is it the fact that I used a keyword as my username? Geez, if that’s what it’s about, i’ll change it. @KirstenWright One more reason you can not edit your comment once published while in Disqus you can. And you know when you can not edit your comment which has spell or grammar error in it, it is going to ruin your image. Really, I want livefyre. I had hardly ever looked at it well before. Though you’ll find it very good kid comprise of the information you have, ones own weblink, and a lot more. As i you should not your head hauling inside a product if at all suitable. I really like it so it definitely features ones own search terms and unfortunately your weblink. It looks like this is often a terrific thought, without having to be spammy. @jennalanger I agree with Kirsti. I only want direct replies to my comments notified via email – have now ticked ‘never’. I will come back to the post to follow a lively conversation. Also I’ve been to my profile – settings -sites – and ticked ‘show a link’, but it still doesn’t! It says (if enabled by the blog I’m posting on). @Diana of Elephant’s Eye Hi Diana, to display the link to your latest blog post under your comments you need to have Livefyre enabled on your blog. We’ll be rolling out support for blogger in the near future! As you know, I’m a big fan. But the customer service at Livefyre is really what sets them apart. It’s exceptional. I’ve just installed LiveFyre on my blog and I’m loving it. I agree with you that the customer service is awesome. I had a question and Jenna got back to me real quick. But do you have issues with spam on your blog since comments on livefyre are autoapproved? This web-site is working with livefyre for a little bit at this moment plus I have already been happy along with it. Support service is breathtaking plus over-all it is really routinely previously worked actually by using this web-site (I personally use them a Headway WordPress high grade motif. @KirstenWright Simply create another account to comment anonymous? @DannyBrown@jennalanger This is a test of a notification to @HowieSPM who has not commented on this article to determine how he learns of my mentioning him. If I tagged a Twitter user, such as adrielhampton then Adriel will optionally get a tweet from me that I tagged him. Will Howie be emailed via livefyre? Update! Got it all working today and posted a link back to this blog for my visitors that have questions about how it works. Thanks again for this great artile. @Coolest Glad it works. Did @jennalanger help you here? @Ari Herzog Yes she did and thank you again for this great article. Great post. Yesterday I changed my blog to LiveFyre comments and I already like it way more then I did with Commentluv. Thanks. @b.nijhoff I agree. since swapping a fe of my other sites across to LiveFyre, this have really improved. There are many reasons I don’t care for Livefyre or any third party commenting system which I enumerated in your post at http://ariherzog.com/reviewing-30-days-of-livefyre-activity/. CommentLuv is not a third party system and I am surprised that anyone would prefer Livefyre over CommentLuv – but to each their own. I predicted a long time ago that there will be separate communities based on which commenting system a blogger uses and I stand by that prediction. Interesting that Livefyre is now copying CommentLuv – but one last post isn’t as good as the free CommentLuv plugin much less the incentives for sharing, ten last posts and five favorite pages or posts available in the new CommentLuv Premium. Obviously we have to DO something to get Livefyre to show our last post even though we are logged in? I have no idea what. I really love commentluv before and I truly appreciate it but spammers are attract it most. So, I switch to livefyre real time commenting system in which you can leave comment very live and have a free links along with your comment. Thanks for this great information.